The backlash against stock buybacks has gone bipartisan. Republican Senator Marco Rubio released a report on Tuesday that called for ending the tax advantages that share buybacks enjoy over dividends. The goal is to encourage companies to invest in the future rather than give them tax incentives to reward shareholders. "We have too often failed to make the well-being of working Americans the terms for market success," Rubio wrote in the report, which was released through the Senate Small Business Committee that he chairs. Rubio's pushback against buybacks comes as Democrats have slammed the spike in share repurchases sparked by the 2017 tax law. US companies announced more than $1 trillion of buybacks in 2018, the first full year since the tax law took effect, according to TrimTabs Investment Research. While announced buybacks surged by 71% in 2018, government statistics show that business spending on job-creating investments like factories and equipment grew at a much more moderate pace. Fixed business investment increased just 8.2% through the first three quarters of 2018. Bank of America Merrill Lynch recently dubbed it the "investment boom that wasn't." "Cash spent on share repurchases is not cash spent on capital investment," the Small Business Committee report wrote, though it conceded that the relationship varies by sector and firm type. The Rubio-led committee noted that share buybacks are "tax-advantaged over dividends." Ending this preference, the report said, could increase capital investment by shifting "shareholder appetite for capital return." Under current law, dividend payouts are normally taxed as ordinary income, based on investors' income levels. But shareholders that sell their stock during a share buyback get taxed at the lower capital gains rate. And they only pay that capital gain tax if they have a realized gain, not if they have a loss on the investment. Most shareholders don't sell during share buybacks, delaying the tax impact altogether. The report was not specific about what buyback policy changes need to be considered. However, a Rubio aide told CNN Business that the Republican Senator plans to introduce legislation that would require share buybacks to be taxed just like dividends. For instance, if a company spends $1 billion on buybacks in a given year, shareholders would get taxed on a portion of that $1 billion based on how many shares they own. Notably, this tax would apply even if shareholders decide not to sell into the buyback. The goal is to eliminate the tax preference that investors have for buybacks over dividends, which are harder to turn on and off. Rubio wants to use the revenue raised by the tax to finance other incentives for capital investment. The 2017 tax law, which Rubio voted for, allows businesses to immediately and fully expense most new capital investments. But the provision expires after 2022. The Rubio-led committee suggested using the revenue raised by further taxing buybacks to make this incentive permanent -- and expand it to include not just equipment but facilities as well. It's not the first time that Rubio has criticized the explosion of stock buybacks. In December, Rubio penned a piece in the Atlantic that called for a carrot-and-stick approach toward encouraging investment. The carrot is the full-expensing incentive, while the stick is taxing buybacks at the same rate as dividends. "At present, Wall Street rewards companies for engaging in stock buybacks, temporarily increasing their stock prices at the expense of productive investment," Rubio wrote in the Atlantic. Some critics fear that the widespread use of buybacks is deepening America's income and wealth inequality problem. "It's a self-perpetuating loop that benefits one small group of people," hedge fund manager Mark Yusko told CNN Business last week. Kristina Hooper, global market strategist at Invesco, said it makes sense for Washington to focus on encouraging business investment. 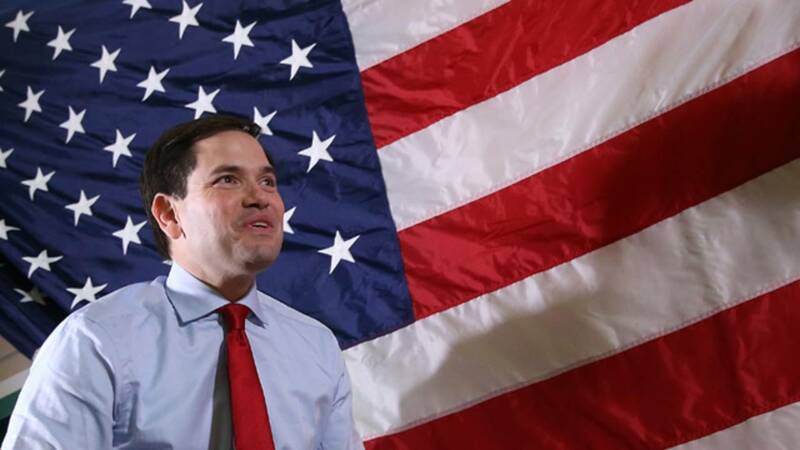 "Senator Rubio is rightly concerned with American competitiveness and recognizes the tax code has an amazing ability to incentivize certain corporate behaviors," Hooper told CNN Business in an email. "However, we need to recognize that any legislation has unintended consequences." For instance, Hooper noted that one reason companies buy back stock is to give it to employees to ensure their interests are aligned with that of the company. "Presumably a tax like this would discourage a positive behavior like that," she said. Boston College finance professor Jeffrey Pontiff thinks Rubio's proposal could succeed in encouraging business investment. However, he worries that taxing buybacks would discourage investors from backing innovative companies in the United States rather than ones based overseas. "It's a tax on people who own stocks. It will increase the capital burden," said Pontiff. "In the long run, increasing taxes on investment by public shareholders decreases the amount of capital flowing into the stock market into firms trying to raise capital."